Maiduguri (Nigeria) (AFP) - Boko Haram gunmen attacked Nigeria's restive northeastern town of Gwoza on Wednesday leaving dozens dead, residents said, in the latest violence blamed on the Islamists. The extremists raided the town, some 135 kilometres (83 miles) from Maiduguri, the capital of Borno state before dawn, forcing residents to flee their homes, locals said. "Dozens of our people have been killed by the attackers, some were slaughtered and many others shot with guns," resident James Mshelia told AFP. He said the attackers also burnt down the divisional police headquarters, the local government secretariat and other public buildings in the town. "They have scared hundreds of residents to flee to the mountains along Nigeria and Cameroon borders," said Francis Mbala, a former vice chairman of Gwoza local government. Locals said there were no soldiers to defend the town during the attack, with some saying that the whereabouts of the Gwoza emir, Mohammad Idrissa Timta, were unknown. Timta succeeded his father, Mustapha Idrissa Timta who was killed by Boko Haram insurgents in May. "And from all indications, our emir is also missing because we don't know his whereabouts," she said. The attack on Gwoza came a few weeks after the insurgents took over Damboa, another town in the volatile state, repeatedly attacked by the Islamists. 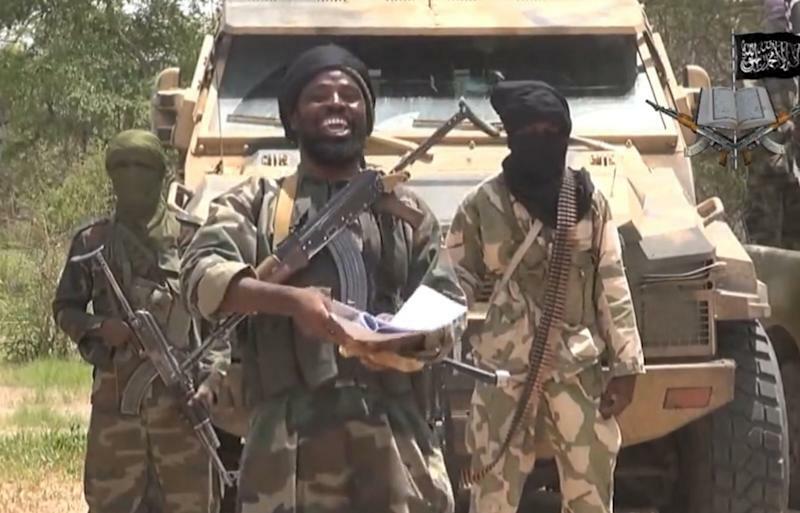 Boko Haram insurgents, who are seeking to create an Islamic state in the country's predominantly Muslim north, have killed more than 10,000 people since they launched their uprising in 2009. The military has for more than a year been waging an offensive in the northeast aimed at crushing the insurgency, but the campaign appears to have yielded few gains as the sect has stepped up their deadly attacks in recent months.